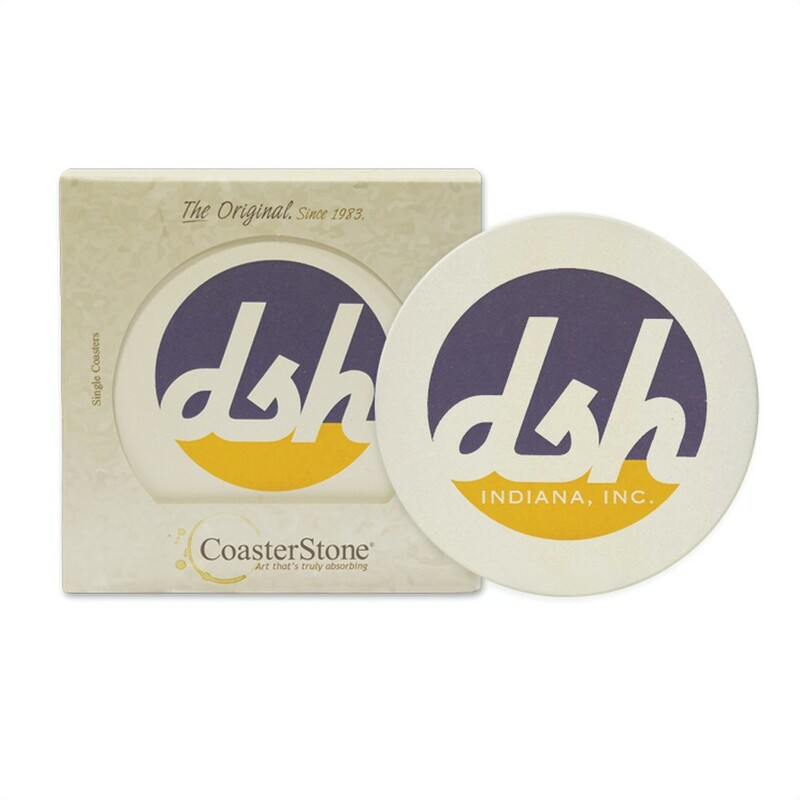 Help your clients and employees protect their furniture with a lovely personalized Round 4.25" Stone Coaster. Imprint your logo on this practical gift. Create an elegant look with one of these personalized Round 4.25" Stone Coaster on your board room table or clients' living room tables. Imprint your logo on the large diameter of the coaster in your choice of four different colors. This absorbent coaster features a cork backing to prevent sliding and is individually packaged in a printed box.